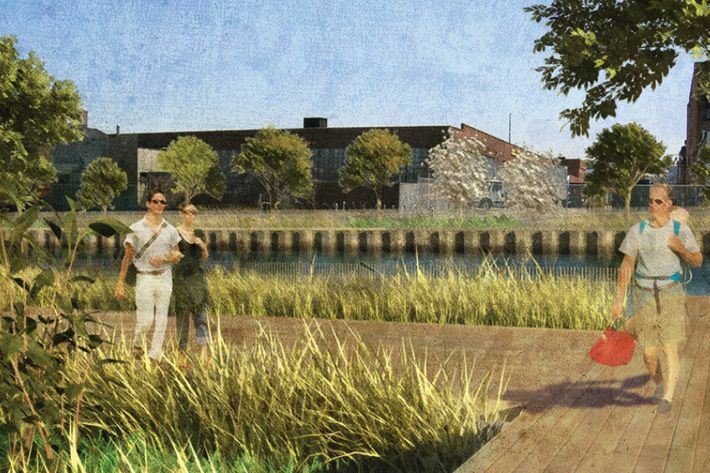 Brooklyn’s favorite Superfund site, the Gowanus Canal, is getting a park where the waterway meets Second Street. 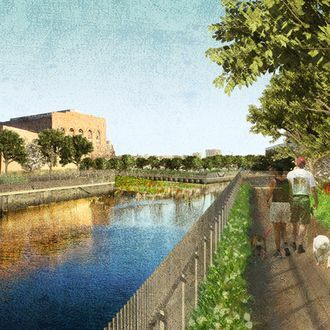 Though it seems questionable that anyone would willingly visit a park near a toxic sewage stream, the 2,100-square-foot tract has a higher purpose: Known as Sponge Park, it will help soak up and block polluted runoff from flowing into the canal. A New York Times report on Sponge Park says it should open this spring and will incorporate absorbent plants and layers of sand and soil to retain water. The very ecologically friendly park — the brainchild of DLANDstudio — is designed to withstand most storms and flooding and should keep out everything from dog poop to litter. Sponge Park won’t do much to reverse the Gowanus’s present contamination, but it will keep it from getting worse by at least blocking new garbage and toxins from seeping into the waterway and joining the STDs, pesticides, and flesh-eating bacteria already floating around. According to the Times, this project is part of the city’s $2.4 billion plan — started during the Bloomberg administration — to use public and private money to find green ways to stop sewage from polluting the rivers and other bodies of water around New York. We know this guy, at least, is probably excited about it.